A true multi-tasker for anything from commuting to a weekend camping trek down the coast with loaded panniers, the Source Comp does it all anytime, anywhere with integrated lights, rack, and fenders, with disc brakes for all-weather performance; plus a FSA/SRAM X7 drivetrain for lighter weight and flawless shifting. >Super-light, E5 fully-manipulated alloy frame is built for high speed, low-fuss, and great versatility; with tapered headtube, internal routing, rack/fender mounts, and wide tire clearance. >FSA Omega Compact crankset with 48/34 chainrings and SRAM X7 rear derailleur with super wide gearing makes for easy work on the hills. >Supernova E3 Pure headlight supplies over 300 lumens of light, while a B&M Toplight Mini taillight keeps you safe on the road, anytime. >Super-light and compact Racktime hollow alloy rack with Racktime snap-in accessories system and hidden fender attachment; max load 25kg. 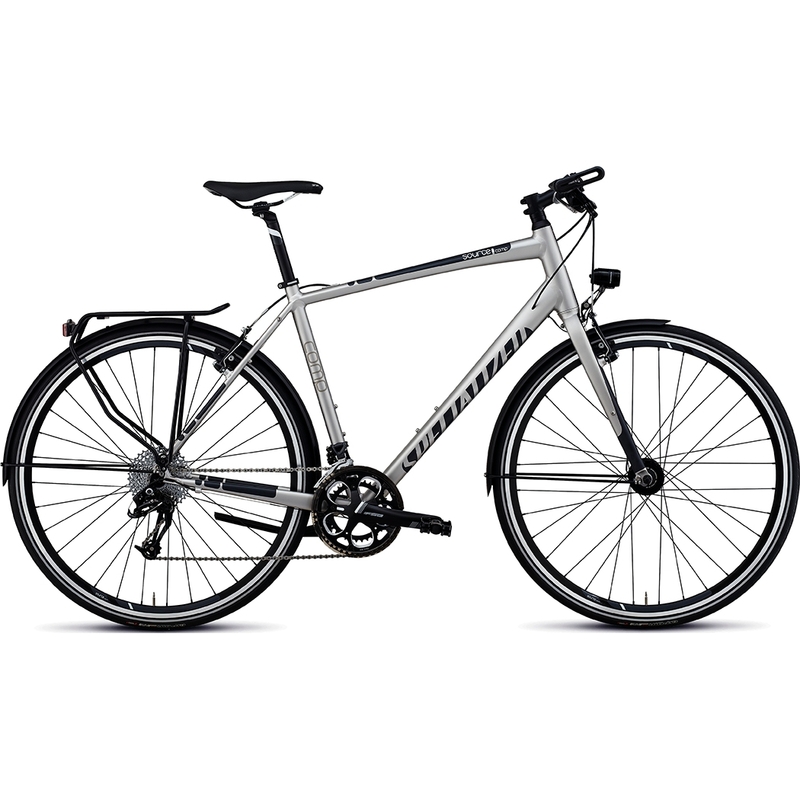 >Specialized anodized alloy fenders with hidden rack mount bracket and anodized front struts keep you clean and dry. Avid FR5, linear pull, reach adj.